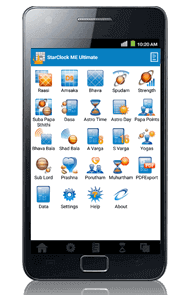 StarClock ME Lite App is based on Vedic astrology and it provides an insight on your horoscope and helps you know suitable Muhurtham, good times for you. 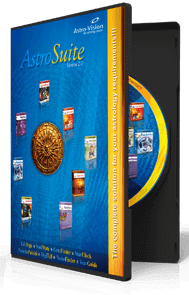 It also provides astrological charts, predictions and calculations such as Rasi, Navamsa, Bhava, Spudam, Prashna, Dasa, Star Match, Yogas etc. 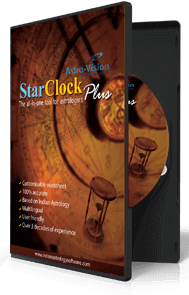 Overall, StarClock ME Lite App makes complex astrology calculations & predictions effortless for you. Want to know your tomorrow? Thinking about your career (education, job or business etc)? Worried about your love/marital life? Need help in making an important decision in your life? Multi-lingual horoscope. 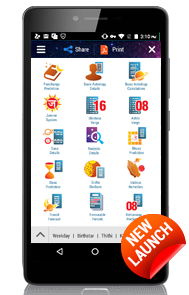 Get your horoscope in English, Hindi, Telugu, Tamil, Malayalam, Marathi and Kannada. 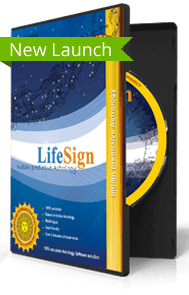 Foresee your future - comprehensive analysis of your Horoscope. 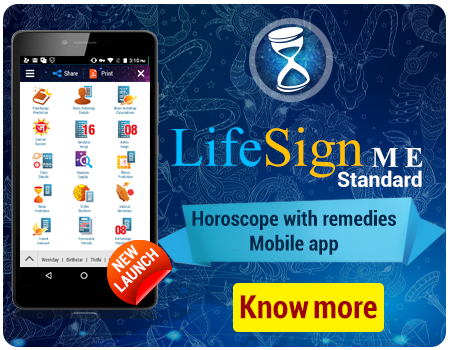 Real time astrology charts & calculations such as Rasi, Navamsa, Bhava, Prashna, Dasa calculations. Muhurtha - Find auspicious time for special occasions in your life. Insights on Spudam, Planetary Strength, Astrological Day & Moment, Papa Points. Explores Bhava Bala, Shadbhala, AshtakaVarga, ShodashVarga, Yogas & much more. Compatibility of Stars; Star match based on North Indian (Gunamilan), South Indian (Kerala & Tamil Nadu) matching methods. App usage in offline mode gives access only to Rasi and Navamsa. App usage in offline mode is limited to a total of 225 mins (15 mins per day). Offline mode will not be available if the app is re-installed. Starting from the date of installation, if the app is uninstalled within 15 days, user can avail the remaining days only by re-installing the app before the 15 day period ends (30 days in the case of subscribed users).